So you want the best email solution? Can you imagine running your business without email? Definitely not! 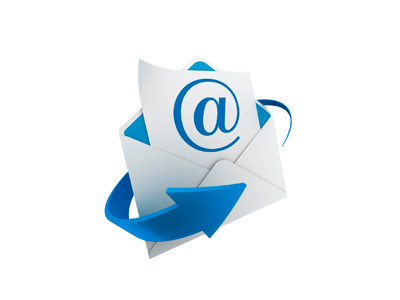 Having a working email system is vital for any organisation. Picking the right solution for your emails is one of most important decision for your business. Yet many businesses are not picking the best option, or they are not aware of the differences between email systems thus they made the wrong choices. Today, emails are not just for sending messages to clients and colleagues. Users also use contacts, calendar, reminders, tasks with their emails. Companies have the needs for sharing contacts, calendars and tasks for their employees. We now access emails on different devices: computers, laptops, Apple Mac, tablets, mobile phones. These devices use multiple platforms: Windows, Mac OS, Android, iOS, etc. We are not just reading emails in the office anymore, but also at home, in different offices, on the roads, on our mobile phones with internet. Wouldn’t it be nice to access your emails everywhere you want? on any devices that you want? to see the same contacts, calendars, reminders all the time on different devices? to be able to share calendars to your colleagues? When your computer crashes, are you worried that your emails, contacts and calendars are all lost? Wouldn’t it be great to know that your emails are always backed up even when your computer is broken? If you like all of the above benefits, then you want a business-class email solution. We can help! Are you worried about losing your emails and contacts if your computer crashes? Do you want to keep your emails and contacts in sync across all devices? If you do, contact us now to get the best email system set up in no time! Free virus removals. Free premium internet security software. Unlimited computer tune-ups. Free installation of devices, operating system, software and hardware and so much more!